Hickory, a very hard and dense wood, is grown in Canada and the USA. 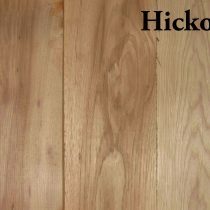 Hickory varies in color from pale to a reddish brown with a straight grain. Because hickory is so hard, it is used for handles of striking tools. Hickory is also used for cutting surfaces, furniture, ladders and sporting goods.